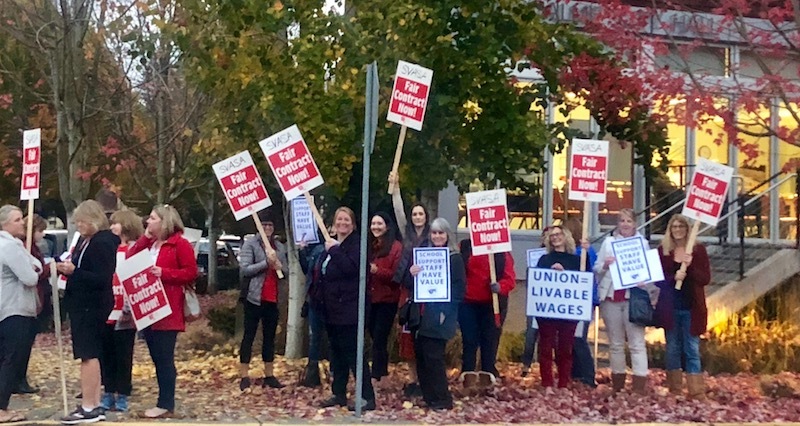 The Snoqualmie Valley School District and its small secretaries union (SVASA) have been negotiating a new contract since last spring, spending approximately 75 hours at the bargaining table, but have reached a stalemate over contract duration – something that has led the district to request a mediator in an effort find a solution. Snoqualmie Valley School District secretaries say they are ‘bamboozled’ by the school board’s authorization for mediation since both sides have agreed on nearly every issue on the bargaining table – except the contract’s duration. SVASA is looking for a two-year contract while the district wants three years. According to a district announcement, its bargaining team requested a mediator at the November 27th bargaining session and will seek help from the state Public Employment Relations Commission (PERC). In late October SVSD said it had offered secretaries an average 14% raise over three years. The union was requesting raises to what it called a living wage, or roughly $25/hour for the Snoqualmie Valley area. The average salary for a SVSD secretary last year was roughly $21/hour. 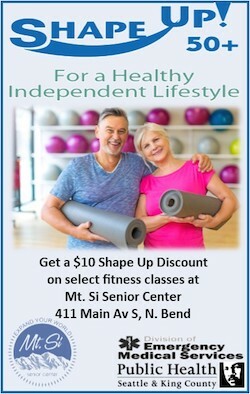 SVSD has since upped its offer. Its latest proposal is a three-year average 18% raise, with the majority of the increases coming in the first year. The district said the salary proposal is based on “comparative methodology” that it has used successfully with all other employee groups in recent years where the wages of four neighboring districts – Lake Washington, Riverview, Issaquah and Tahoma – are used to quantify competitive wages in similar positions. You can see the district’s wage proposal compared to current wages HERE. Seiser said two legislative sessions could mean a change by the state in salary funding or levy money. SVASA wants the ability to negotiate sooner. She said they extended their last contract an additional year when approached by the district, which pushed that contract to five years. Seiser said union members potentially missed out on opportunities with that long contract. This fall, union members have held multiple picketing sessions and spoke out at school board meetings in an effort to reach what they consider and fair and living wage contract. The teacher’s union has also been lending support to the secretaries. More negotiation sessions will depend on state mediator availability. Until a new contract deal is reached, SVASA’s current contract remains in place for the 2018-19 school year. Union members picketing before a SVSD School Board meeting in October.